Latin America is a place of cultural wealth, untamed wilderness, and ancient history that is preserved in the geological magnificence of the Andes Mountains, the Atacama Desert, the Patagonian steppe, and the Amazon Forest. At the top of travellers’ bucket lists and sought after by Instagrammers and spiritual souls alike, the most naturally beautiful, culturally popular, and all-round unforgettable landscapes of Chile, Peru, and Brazil are not to be missed. World-class hotel groups and leaders in terms of adventurous experiences, fine dining, accommodation comfort, these select luxury hotels in the South American outback come with our stamp of approval. The age-old Inca Empire of Machu Picchu. 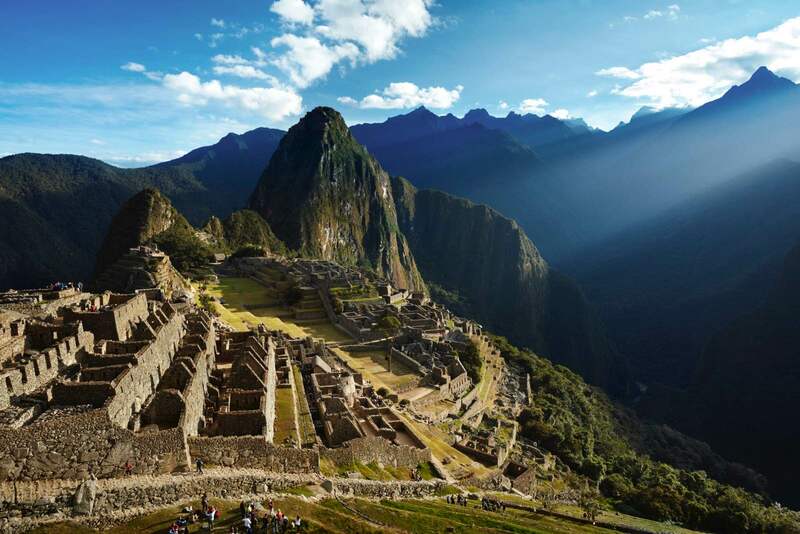 This mindful retreat is all about consciousness in the shade of the Machu Picchu citadel. A zen garden in the tranquil greenery of the Inca Empire, a testament to the peaceful nature of the ancient people. There are blessing ceremonies, coca leaf readings, orchid gardens, and rejuvenating spa treatments to soothe the soul and provide some much-needed relaxation from the general pace of life. 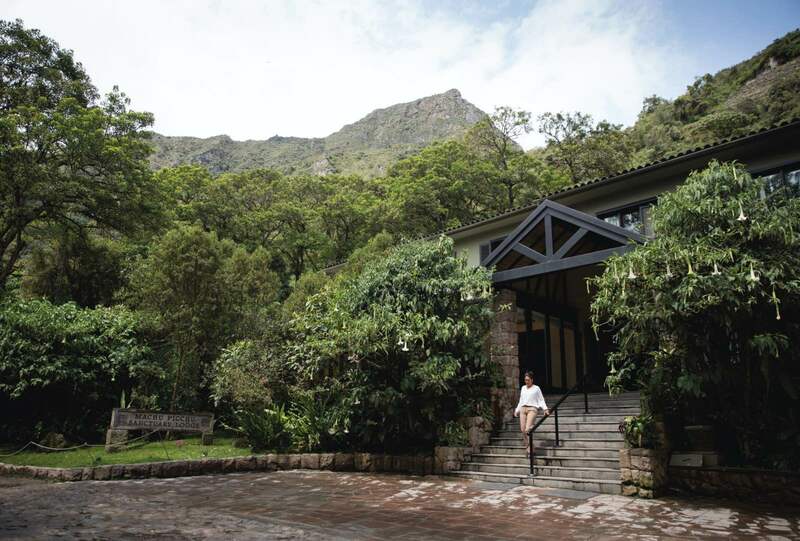 Access to Machu Picchu is second to none, as Sanctuary Lodge is the only establishment adjacent to the ancient citadel, so guests have the freedom to arrive earlier and stay later than the day visitors who arrive to pay tribute to Pachamama. The gardens are brimming with the phenomenal birdlife and the botanical beauty of this cherished place, and every inch of the Belmond Sanctuary Lodge celebrates the old Peruvian life that has been encased in history at the one and only Machu Picchu. 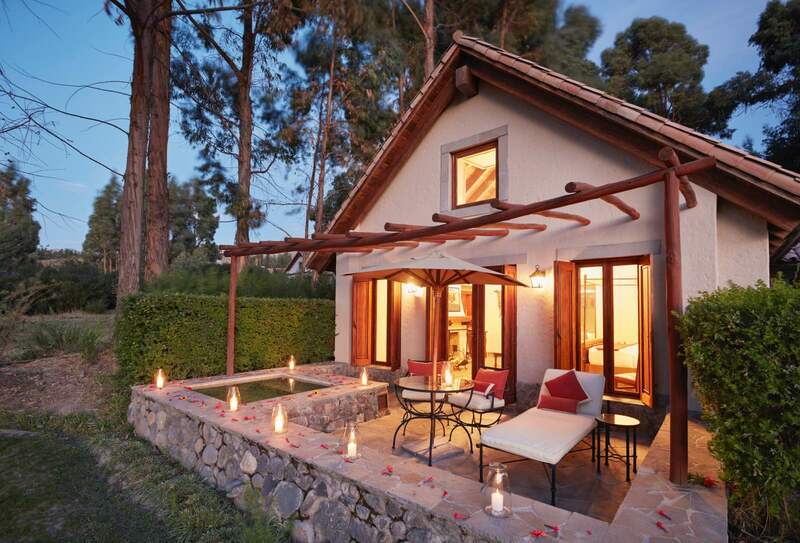 Belmond Sanctuary Lodge, Machu Picchu. Orchids and zen gardens at the foot of Machu Picchu. Celebrating one of the deepest – if not the deepest – canyons in the Americas, Colca Canyon, this remote hideaway makes the most of the astounding views, mountainsides, rock-work, and chasms of the great Andes Mountains. Las Casitas is a representation of the local Peruvian art and culture and has produced some of the most blissfully luxurious casitas that cherish the surroundings you find yourself in. 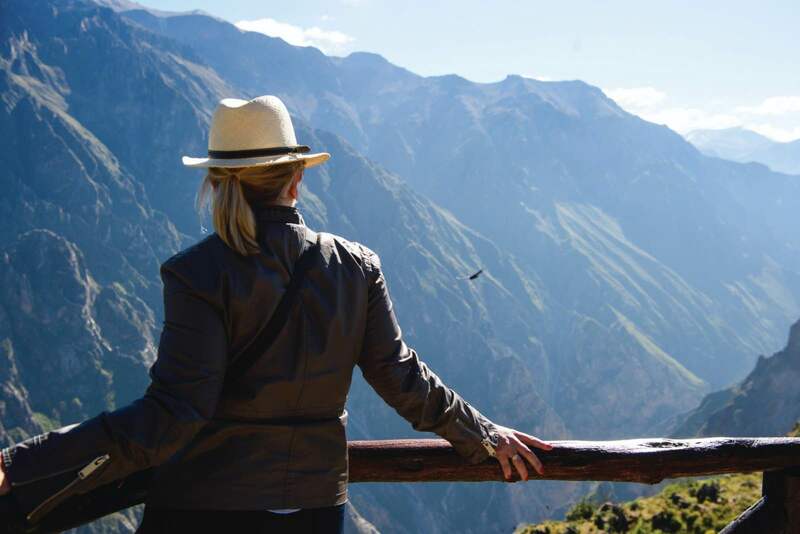 The captivating flight of the condor can be seen out in the deep, open crevasses of the Andes, while traditional activities like horse riding through the Colca valley, and learning how to make the perfect Pisco cocktail add incredible Peruvian value to this hotel stay. 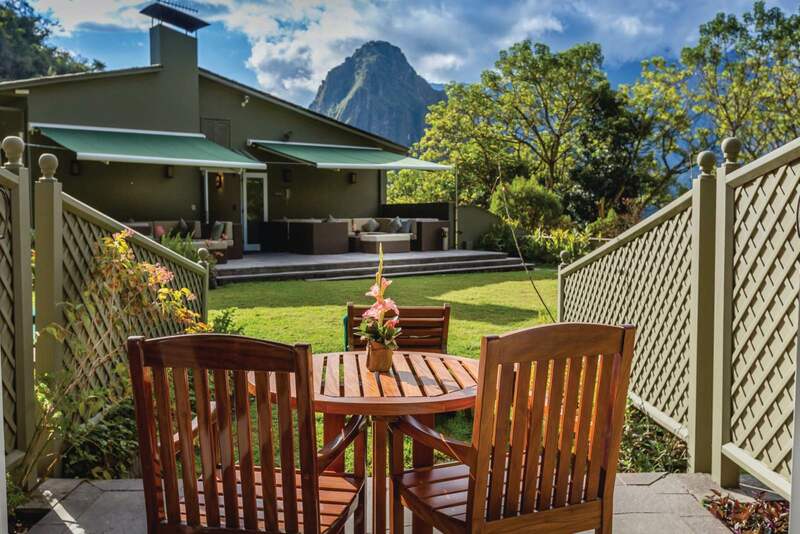 Painting in the great outdoors, trekking and bird watching, cycling, and taking tea in the orchards are among the many activities to keep you busy in between spectacular meals, luxurious nights of comfort and rejuvenating spa treatments. 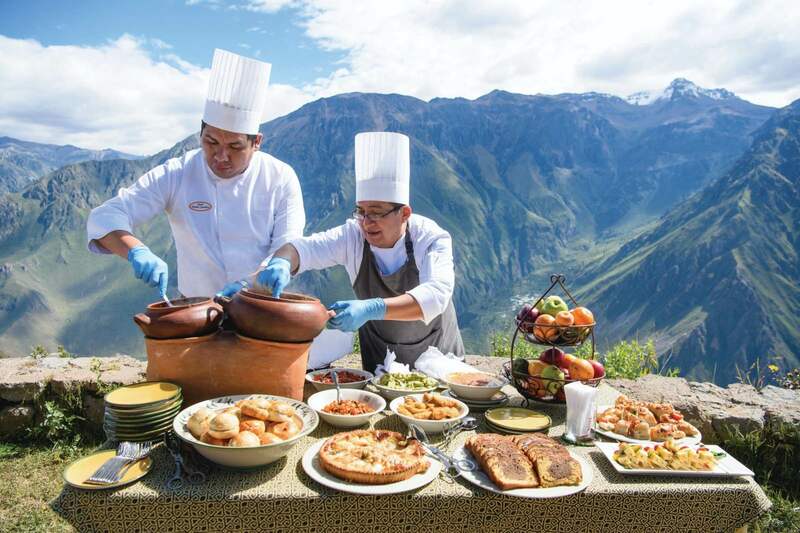 Lunch is served for Belmond guests at the Colca Canyon in Southern Peru. Photo by Matt Crossick. Horse riding in the valley at Colca Canyon. Condors fly over the Colca Canyon in Southern Peru. Photo by Matt Crossick. Cosy cabin at Las Casitas, Colca Canyon. Patagonia’s wild and hostile landscapes are irresistible to adventurers who flock to the Andean peaks to hike with backpacks and leg warmers in the terrain ruled by mountain lions. The Deep South of the Americas, and indeed the southernmost point of the world other than Antarctica, Patagonia is unlike anywhere else on earth. Gauchos ride wild horses with an innate and practiced skill, and hardened sheep farmers with tanned faces and wrinkled in the corners of their eyes work through the harsh elements. At Awasi Patagonia, located adjacent to Torres del Paine National Park, the towering granite formations stand tall in the distance – a view that leaves an impression never to be forgotten. The smartly constructed weather-proof capsules are architecturally remarkable; a uniform series of cabins along the rise. 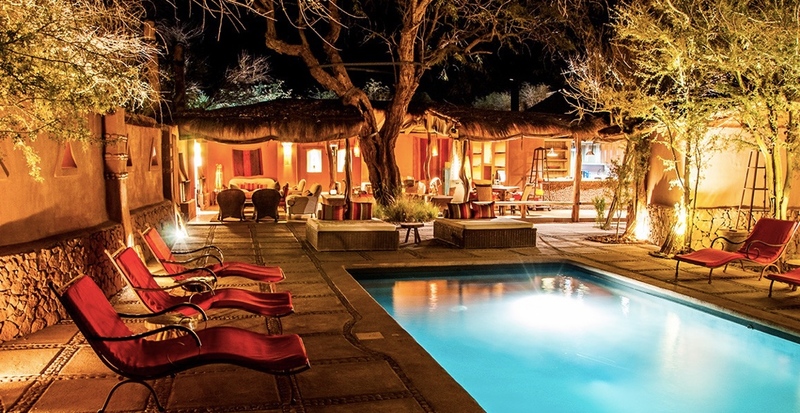 Inside, everything a mountain retreat should be, complete with fireplaces, timber panels, warm lounging areas, and of course, Awasi’s famous restaurant of gastronomy. Torres del Paine’s famous towers with Awasi Patagonia in the foreground. Spacious and stylish interiors of the luxury bedrooms, Awasi Patagonia. Cosy interiors at Awasi Patagonia. Chile’s contrasting landscape far in the north of the country is the Atacama Desert. A “lunar landscape” of jagged rocks, steaming geysers, altiplano lagoons, and Andean peaks reaching as high as 4500 metres above sea level. Sand dunes and ice-capped mountains, this land of “earth, fire, and ice” is a place of outdoor adventure. Challenging treks to gentler hikes, sand boarding, paragliding, and thawing in the natural hot springs surrounded by the icy high altitude air. 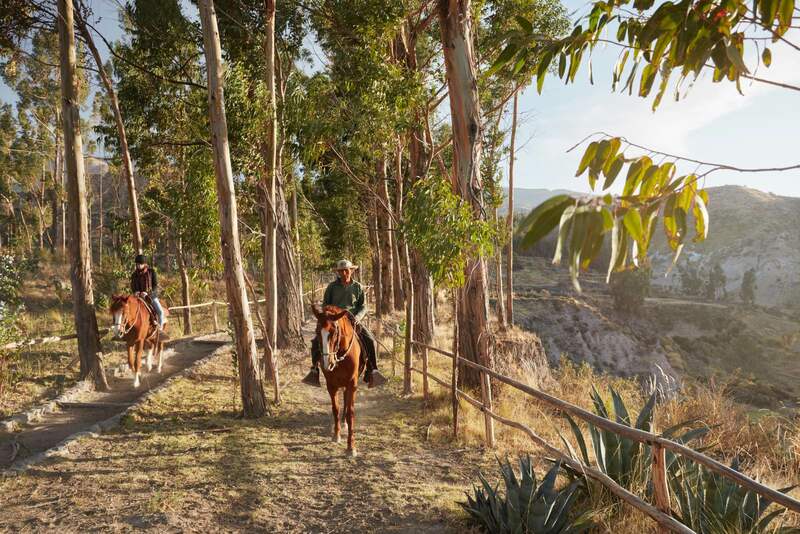 Ride on the back of a horse or cycle through this ancient, petrified landscape carved by long-gone volcanic activity. And when you’re all worn out and glowing from the thrill of the adventure, retreat to Awasi Atacama in the town of San Pedro de Atacama. This desert oasis was built as a testament to Pachamama, utilising the river stones, dry thatch, earth, and timber that the desert provided. Constructed and moulded by the hands of local craftsmen and contractors, the authenticity of Awasi Atacama is evident in every groove and curve of the bedrooms, restaurant, cosy lounge areas, and lantern-lit courtyards. The restaurant, true to Relais & Chateaux reputation, produces mouth-watering cuisine, and the decor has been specially chosen to dress this Chilean desert palace in its traditional, hand-woven textiles and fabrics that celebrate the country’s heritage. Check out this all-encompassing Chile tour: Desert, pumas, art, and architecture. 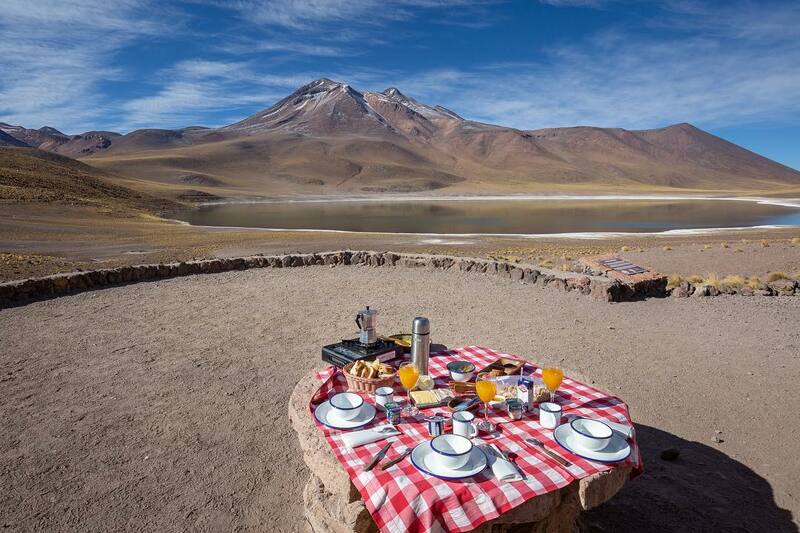 Picnic on the lunar landscape, Atacama Desert. 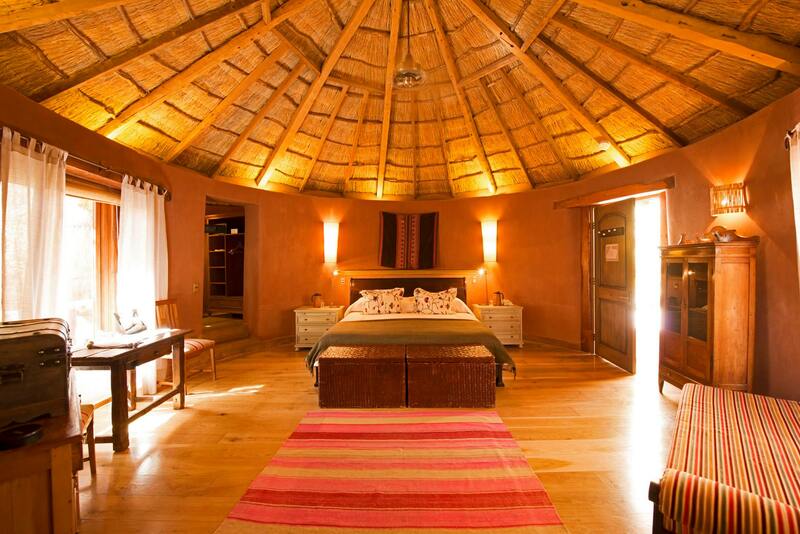 Cosy, traditionally decorated, and locally handmade bedrooms at Awasi Atacama. Swimming pool in the desert at Awasi Atacama. In the capital city of Brazil, where Christ the Redeemer looks down on the great bay of Guanabara with open arms and carnivals fill the streets with glitz and glam and hip-swaying music, Rio de Janeiro pulses on the country’s Atlantic coast. 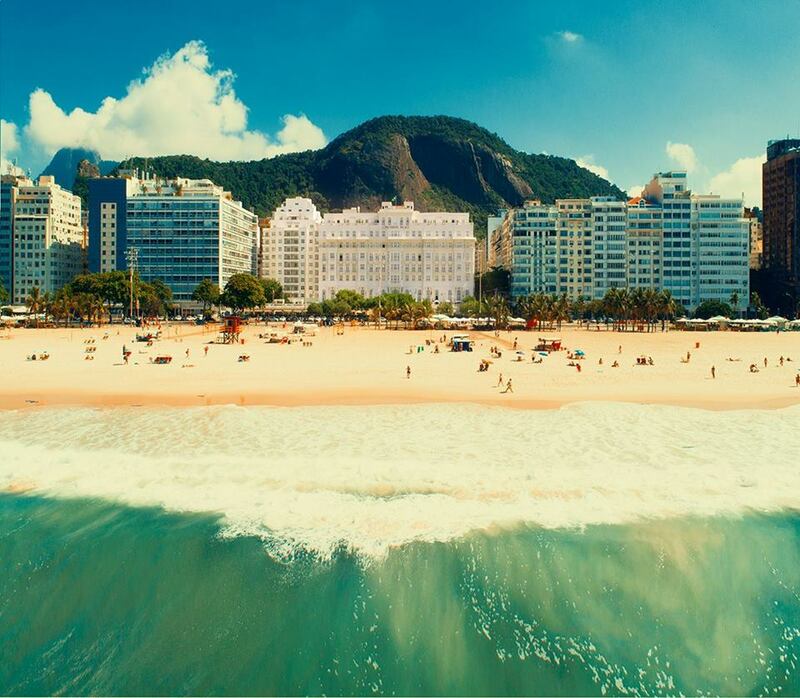 The beaches are full of bronzed bodies shimmering on the sand and bobbing in the waves, and the streets are full of tourists flocking to Sugarloaf Mountain and the ever popular Copacabana Beach. Here, overlooking the stretch of sunny coastline is a piece of living history. All 245 rooms, terraces, dining rooms, suites, and cigar lounges of the 1920’s Copacabana Palace ooze the preserved glamour of the early 20th Century elegance. 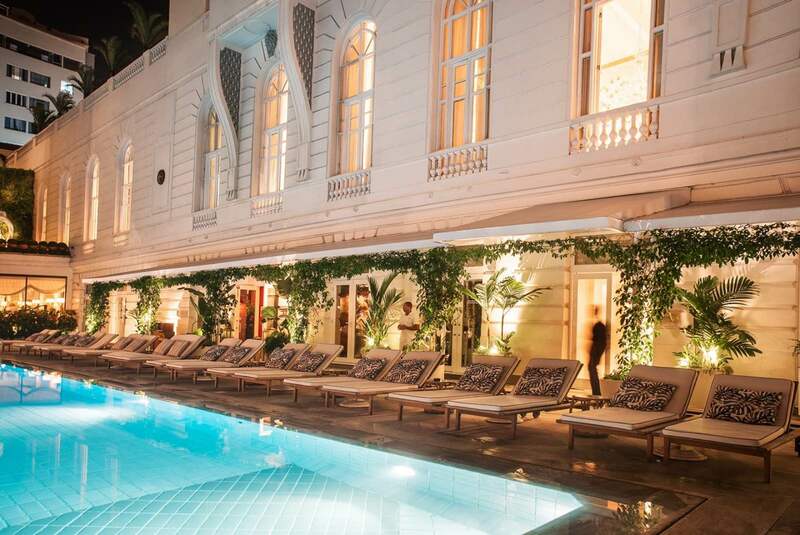 Poolside luxury inside the Copacabana Palace. 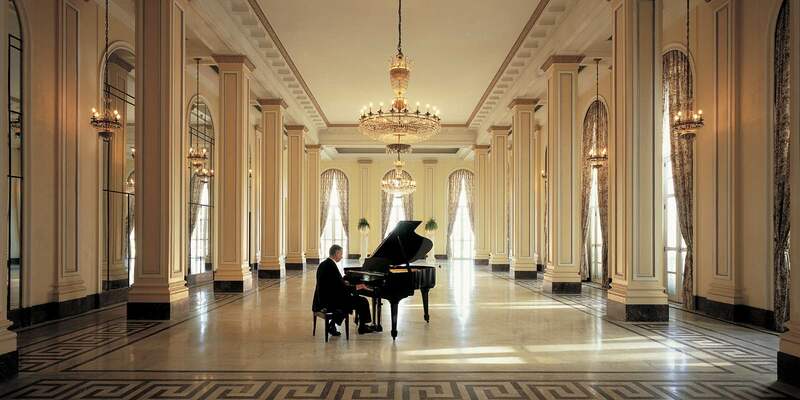 Grand piano in the 1920s original Copacabana Palace in Rio. 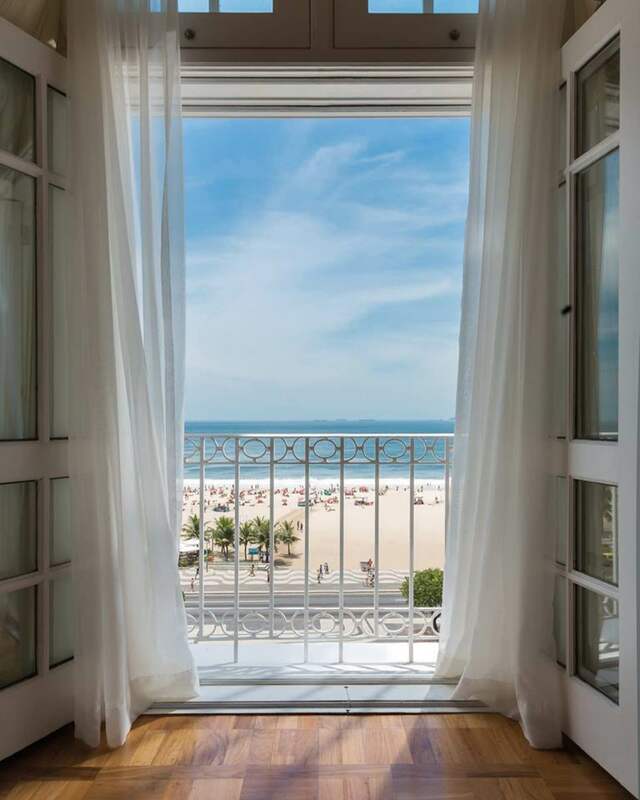 Looking out of a luxury sea-facing suite onto Copacabana beach beyond. The Iguazú falls are made up of 275 separate waterfalls, making it the largest waterfall system in the world with its highest drop at a record-breaking 82 metres. Cascading into the Iguazú River that churns between Brazil and Argentina, this incredible body of water is surrounded by lush, tropical wilderness and attracts lovers of nature from all over the globe. The sub-tropical climate makes this a haven for birds and other wildlife, and where better to settle for a few days of exploration than the only hotel in the Iguassu National Park? Hotel das Cataratas can be described as a Portuguese-colonial residence redolent with the atmosphere of lazy days lounging on a veranda or beneath sub-tropical palms. The preserved flamingo pink exteriors of this lavish, gorgeously dated hotel bring the tropicana atmosphere to life, while the jungle trails that lead through the forest are dotted with giant butterflies and colourful toucans. 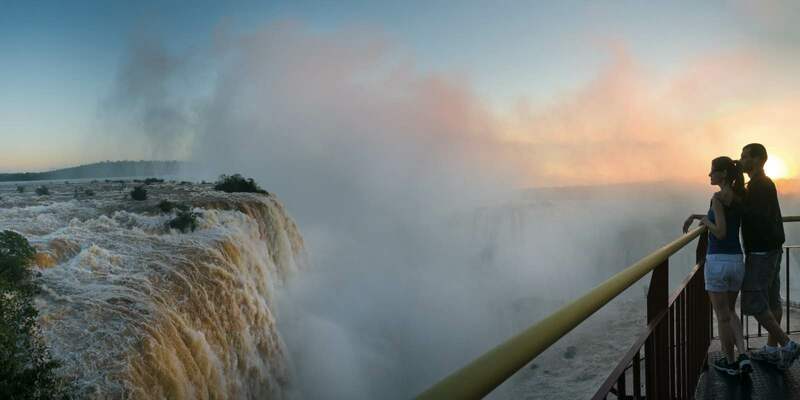 Guests at Hotel Das Cataratas have front row seats to this roaring, thunderous extravaganza, getting their first thing in the morning, or staying until the last light of day. Want to know more about a trip to Iguazú? Take a look at this 7-night Brazil adventure visiting both Rio de Janeiro and the wilderness of the falls. The immense impact of Iguazú Falls from the lookout point at sunset. 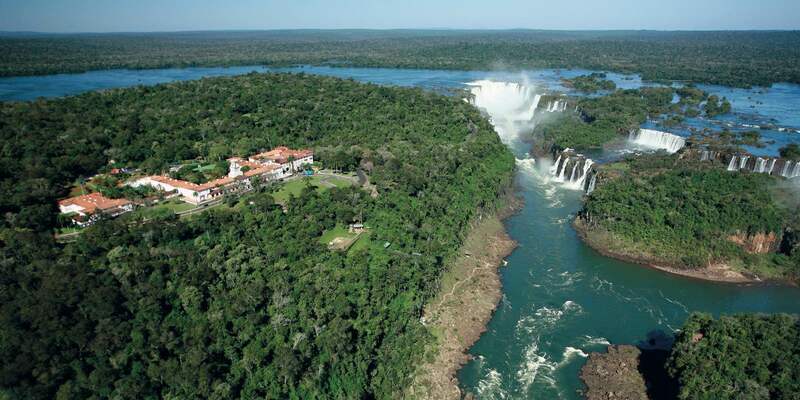 Aerial view of Iguazu Falls and Hotel das Cataratas.